After a cold start to the morning, temperatures will rise into the upper 60s and low 70s across the Rio Grande Valley, according to the National Weather Service in Brownsville. Winds will range from 10 to 15 mph. Today’s high in McAllen will be 72 degrees. 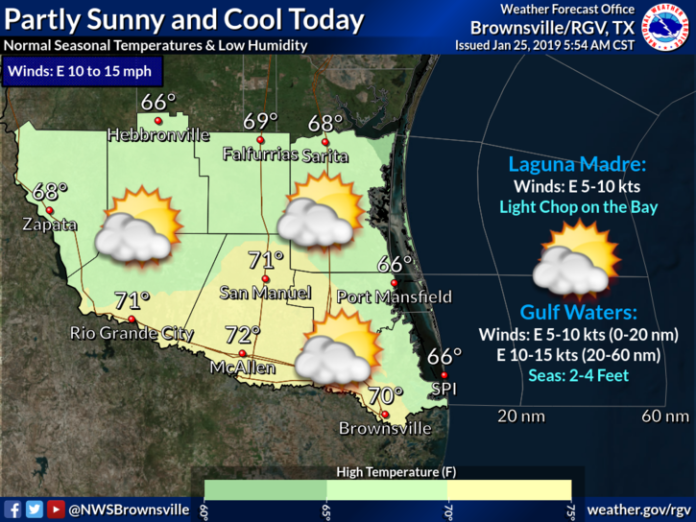 Brownsville and South Padre Island will see highs of 70 and 66, respectively. Rio Grande City will reach 71.